Brandon Roy: For most of my career in the arts I have dealt with artists that focused on their individual selves but the tide is turning and artists are beginning to organize into groups. There is no overseeing control of this movement it is happening out of common interest and necessity and it is propelled forward by the ease of connections made on social media. When I started my journey as a figurative artist I though I was the only one out there. Even after studying at the Florence Academy of Arts among like-minded individuals, after I returned to California I felt very isolated. The modern art movement had an interest in keeping us feeling isolated and for decades they had influence through their control of galleries, art schools and culture in general. However with social media exploding like-minded artists started connecting and seeing that around the world there were thousands of individuals creating amazing artwork. And it isn’t traditional boring work, it is groundbreaking contemporary artwork and it largely centers around representational styles. 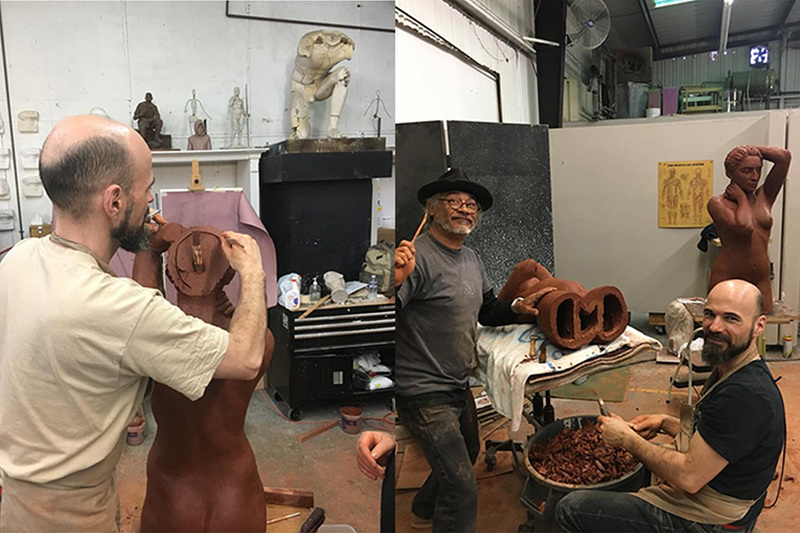 A friend of mine, Jorge Egea, was recently visiting from Barcelona, Spain and he taught a six-day intensive sculpture class at the California Sculpture Academy (ed. 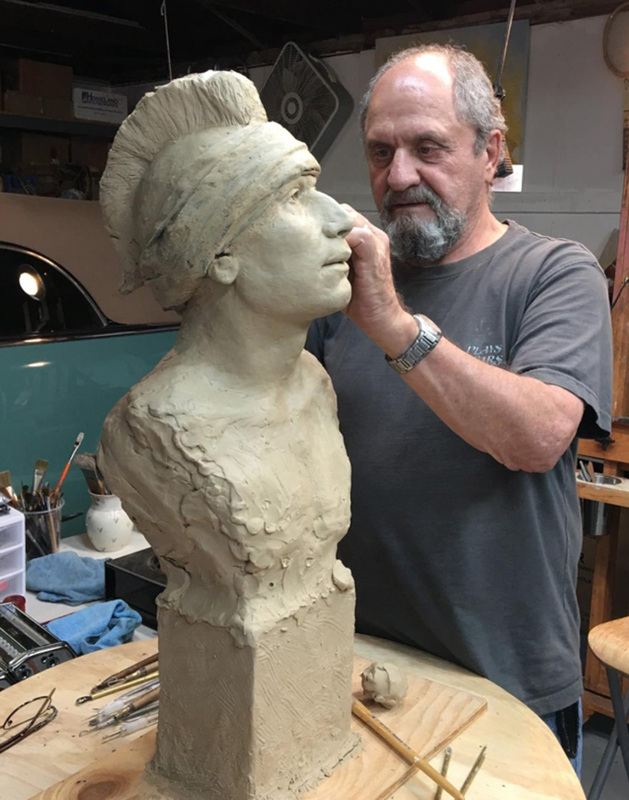 – an Academy started by Roy in 2012 to provide aspiring sculptors with classical and practical training). 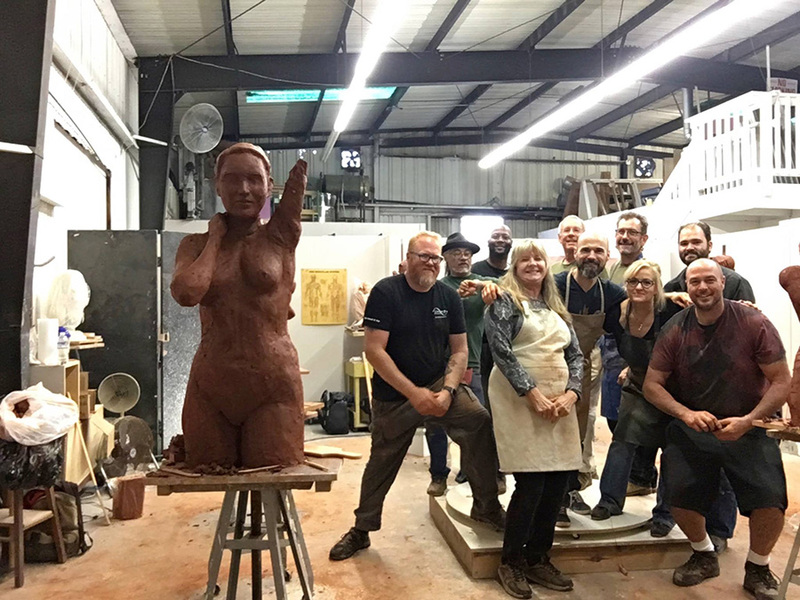 We had eight students and they all completed life size figure torso sculptures working with a live figure model for the class. It was a big undertaking on everyone’s part; we went through 1,600 lbs. of clay! Jorge and I then took a trip to Rosarito, Mexico to meet with the sculptor Enrique Avilez, who recently moved to Rosarito to be closer to our Academy and to the arts scene in San Diego. Avilez has been working nonstop to network with other artists in Baja and this was evident by the approximately 20 artists that greeted us upon arrival in Rosarito. There was great energy for the arts and everyone was brainstorming on ways to work together to build a strong arts community that will allow for creativity to flourish. All of the artists were from different backgrounds, different skill levels and they had different interest but they were unified as a group with the common interest of finding their voice in a world that has largely overlooked them. Both our group in San Diego and the group in Rosarito emerged out of these social networking connections, as did my friendship with Jorge Egea in Barcelona. Within the next decade more and more of these groups will connect and a new worldwide arts movement will be in full swing. Just as a movement is picking up its pace in Europe and the Americas it is also underway in Asia. On February 10th I leave for China to consult on the construction of a foundry in Mongolia. Mongolian art and culture was decimated under the introduction of communism by the Russians and then the Chinese. They were forced to embrace the style of the USSR and over 1000 monasteries were demolished. Since the fall on the USSR in the 1990’s they have been rebuilding their traditional culture and the arts are experiencing a revival. With the addition of a foundry sculptors in Mongolia will be able to cast their own sculptures again and it will be a huge boost to their capabilities. I really believe that there is a world wide movement underway to relearn lost techniques and reinterpret them into a contemporary style that both embraces out past and looks to the future. It is a difficult but exciting time to be an artist. Deanna Rae Cummins: As an individual grows, change is experienced. This is a force of nature. As an artist’s hands may dance while expressing these changes, her true occupation is to seek veracity and ever journey towards mastery. It’s safe to say an artist aims for self-improvement from life’s daily occurrences. As nature requires this change, an artist’s body of work is naturally pulled by the way life is perceived. For some it may be negative, others seek to avoid it but for me it’s an exciting challenge. My work has evolved over the years to be something expressive of time and turmoil. As a child I found myself merely sculpting the horse’s anatomical structure manifesting my work. It was executed well, yet focused on facts embodied in the figurative sculpture of equine anatomy. And rightly so, as a young artist should study truth in life upheld by science and philosophy. This lays the foundation for developed skill as exemplified by our great masters of art. Now as a mature artist, and after many years of research and experimentation, I have achieved a contemporary style notable in my compositions which not only expresses the somatic magnificence of the horse, but its depth of spirit and strength. This is my central inspiration for my recent body of work. 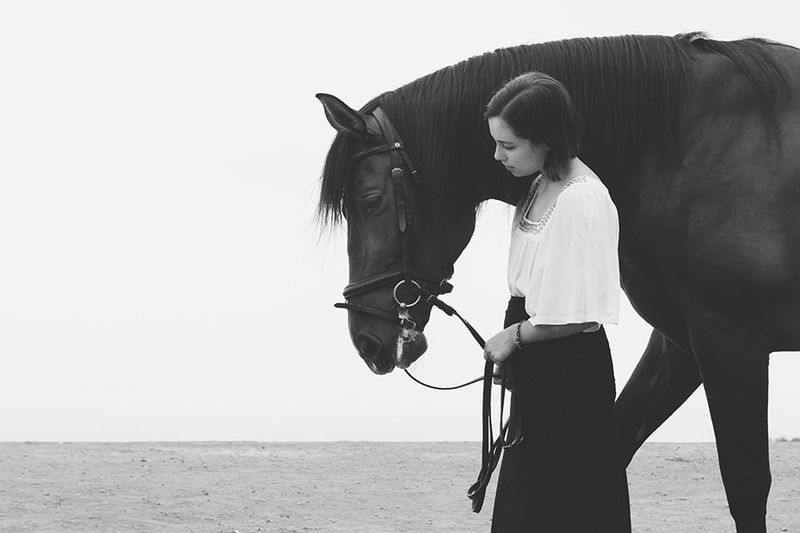 Throughout my life I have studied the singular and mystical links of emotion that humans and horses can share in harmony. This spirituality is expressed through my sculptures and has permitted me to share, in a touching way, that sincerity found in a bond between beings. 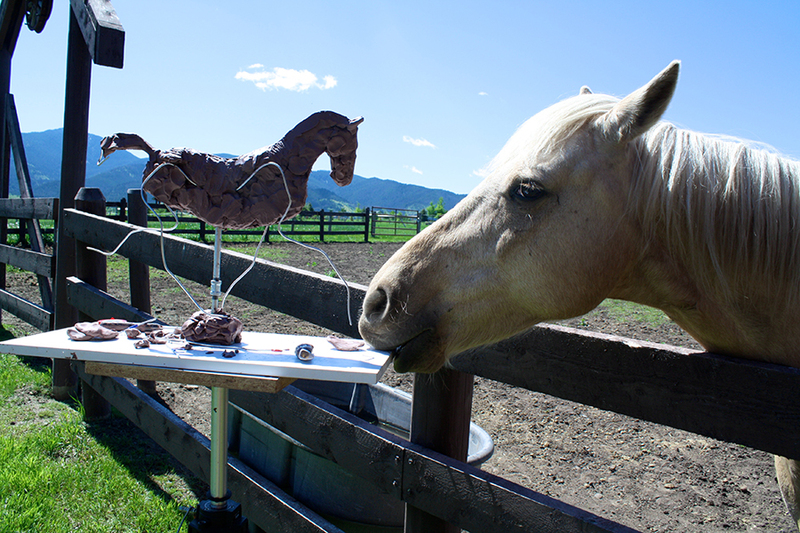 As such, my sculptures articulate the intimate connection between horse and human. To me, my work expresses hope, joy and freedom. Yes struggle can be noted in the muscular tensions and exaggerated twists of the figures; though, triumph is seen in the ease of forward movement. My life, like many, has trod difficult paths, though I firmly believe life is what we make of it. If we move beyond ourselves to see others in the light of encouragement, it’s possible to rejoice in the smallest of feats. D.L. Engle: I don’t think sculpture evolves as much as societies evolve in a cyclical way to re-discover the figurative and classical arts. There is a reason these are timeless and always relevant. A society having explored the novel and far reaching will eventually be drawn back to expressions of art that are grounded in a humanistic and analytical observation of the natural world. This is what resonates at the core of each of us and will bring us back to a place of balance and wellness. The intrinsic principals of figurative art emphasize all elements seen be placed in correct relevance to all other elements. Balance is truth and truth is sustaining. Dino Mehaffie: My art career has mostly been spent in painting. It has only been the last several years that I have allowed myself to sculpt. The process is very expensive so I could not justify the cost. But, sculpting has always been my passion and thus I have finally allowed myself to succumb to the inevitable and now work exclusively in clay, no matter the cost. 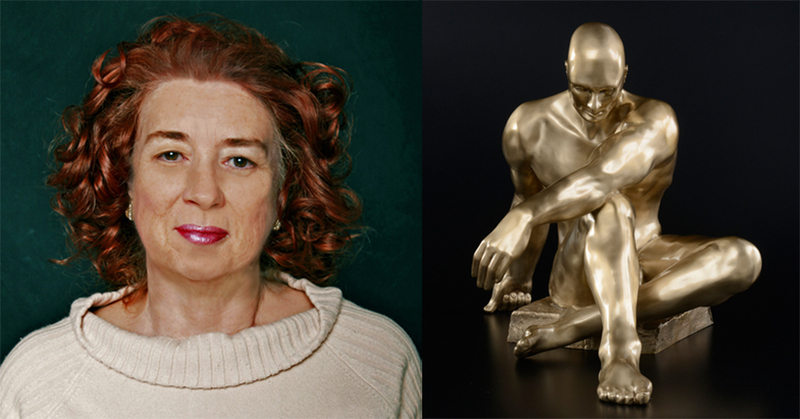 Joyce Schleiniger: I am not an art critic, or a specialized art history expert, to answer how figurative sculpture evolved in general. What I can share is my own experience with the medium and my personal development since I started my career. First, I would like to situate the difference between figurative and abstract sculpture, since I don’t see them as entirely unalike. It is common to think of figurative sculpture as a pure representation of reality. If we accept this assertion, abstract sculpture may also represent realities of life in space, in the ocean, in rock formations, in forms of nature, or in anything that connects us with life as we know it—not just human or animal forms, faces, plants, scenes, portraits, etc. Aristotle’s quote summarizes how I feel about figurative sculptures: “The aim of art is to represent not the actual appearance of things, but their inward significance.” I also believe that the inner significance of a piece is far more important and valuable than the motive they represent! The representation of a person, animal, plant, life as we know it, is just a theme that will serve the purpose of getting us inspired. And themes are just the beginning of an artist’s journey that leads to a conceptual vision of a particular way to see the world, making a connection between his/her life and his/her inner realities, style, taste, and artistry. The most rewarding and pleasurable moment for me as an artist is the point in the creative process whereby the subject of the work is secondary–the moment when the sculpture takes over and emerges with a life on its own. 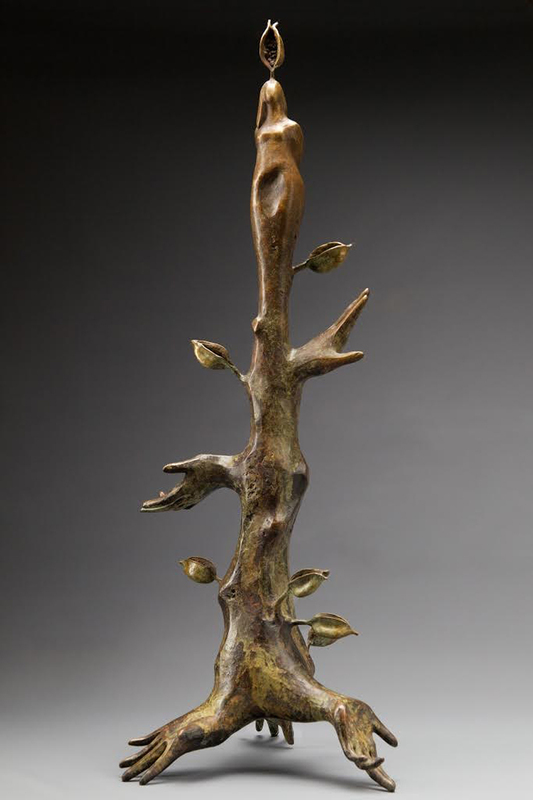 Figurative or abstraction of figurative sculpture is just a reason to create. It has always existed and it is far from being exhausted or in danger of extinction. In other words, I think it will stay with us artists and creators–changing like all of us, evolving and adapting to time and our particular views of life. The urge to create is an intrinsic need of human beings, and that it is the most wonderful thing. What will come next is our search for our inner space and development of our ideas, forms and concepts. And that is where the excitement lies! 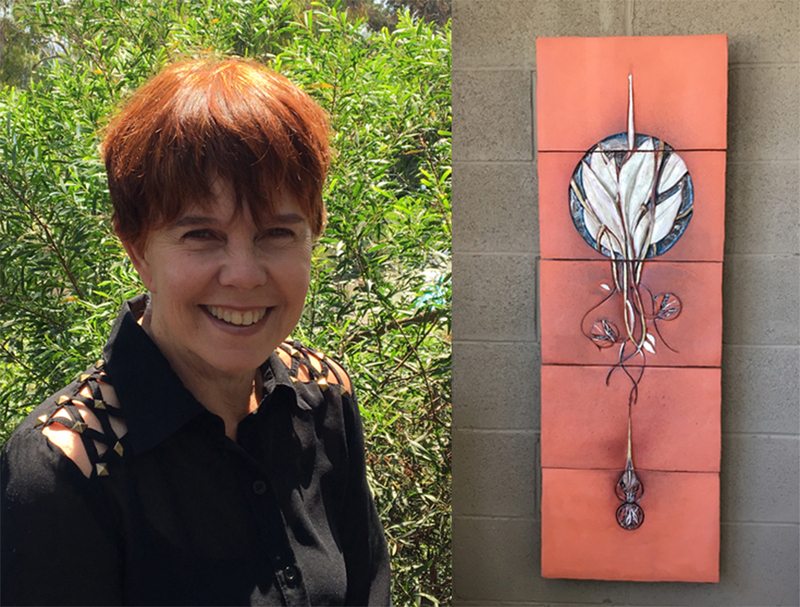 Linda Serrao: As a result of the increasing number of Percent for Art programs, the public is enjoying a greater exposure to art in their daily lives. 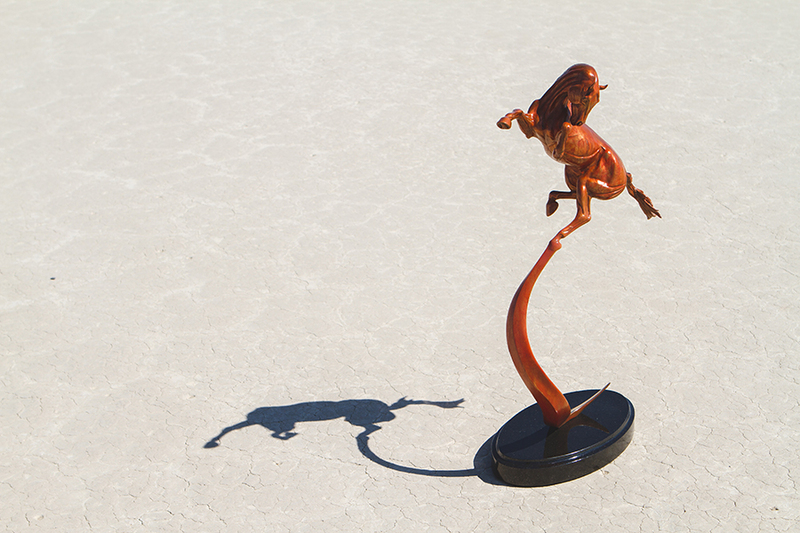 This has resulted in more demand for figurative sculpture. The casual viewer wants to see sculptures to which he/she can relate, without having to read an explanation of the meaning of the work. 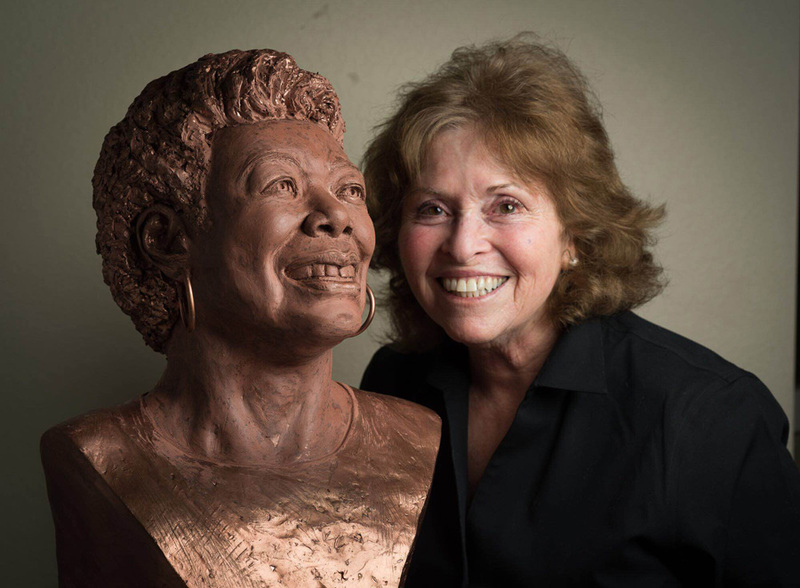 Public agencies have been a bit slower to see this trend than have corporate and private collectors–witness sculptures of athletes, religious tributes, memorials to our heroes, and even the increasing demand for portraits of our beloved pets. The future of public figurative sculpture is improving. As art schools (which produce the public art program directors) become more sensitive to the slow swing of the pendulum away from pure abstractism, public art programs will put a greater emphasis on responding to the tastes and desires of their communities. This will result in greater audience acceptance of publicly placed sculpture and more permanence in the placement of the works. 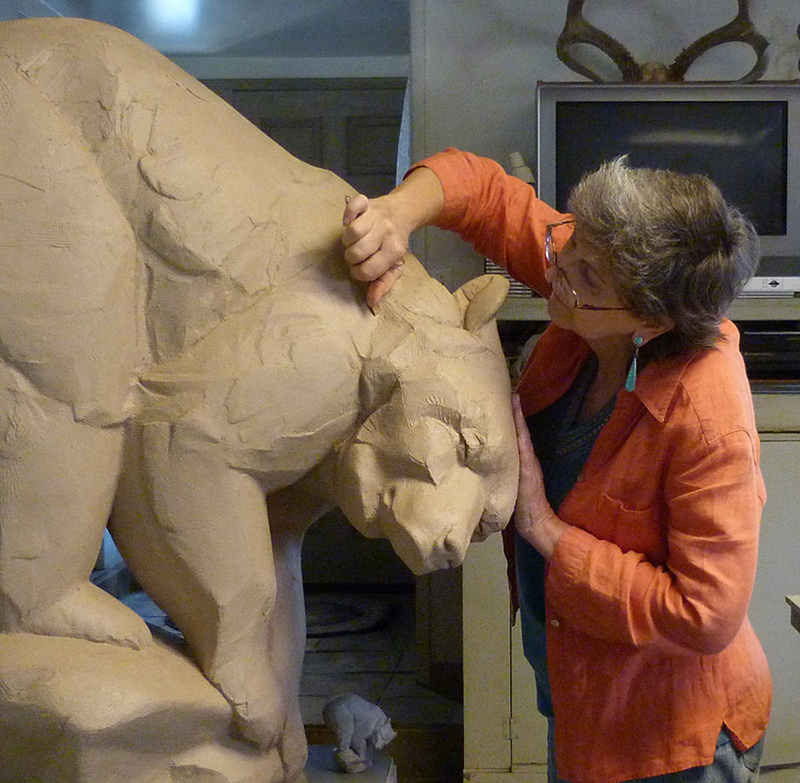 Maidy Morhous: The early years of sculpture study yields class after class of drawing the anatomy. 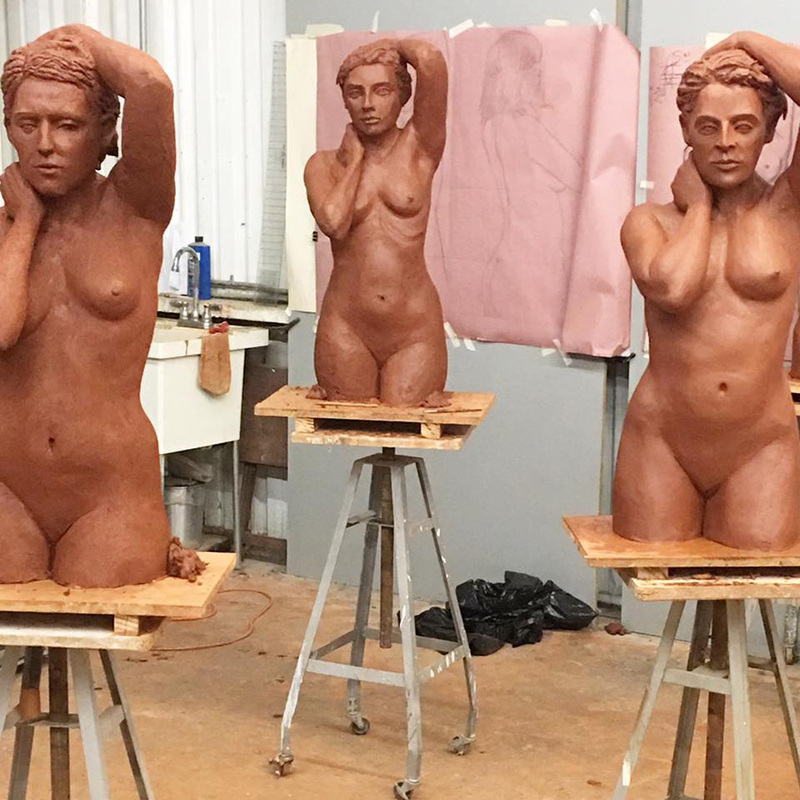 Sculpting from Cadavers , and naked models. These classes give one a technical foundation, but much of the work is a pale rendition of sculpture already done so powerfully centuries ago. In the 70’s Pop Art became the art of mundane cultural objects with the use of irony. In sculpture it is an innovative use of media. It has enabled a sculptor to express himself abstractly so as to not be centrally based around the human form. Objects blown to new heights and dimensions have provided for new expressions of art as not just fun, but socially and politically moving. I have traveled this long road from early figurative artwork to a simplification of form and now a total release and self-expression through innate objects…this new direction adds a creativity and excitement after years of repetitiously sculpting the human form. Mark Edward Adams: In my experience there has always been a tremendous amount of diversity in the work produced by sculptors. The part that was always changing was the particular style of the moment. In the past if you did not make work that was popular the galleries and the art markets ignored you. With the advent of social media people were now exposed to all the artistic diversity which had been hidden from the public for so long. I am excited that everyone is starting to have the opportunity to show their work to the world, whether is it commercial or not. Marsha Brook: The future is bright with the increased interest in body, mind and spirit. The importance of the medium of three dimensional figurative art, like the Greek adoration, has become a powerfully reimagined means of expression. Classical Study of the anatomy allows the sculptor to examine the variety and range of human emotion in ways that we can relate and identify with deeply. Artistic expression of social conscience is critical to cultural progress through the promotion of courageous honesty. Figurative sculpture can be nothing less than appreciative of the totality of human experiences today as in the past. Monica Wyatt: I can’t say that I’ve seen a noticeable shift or evolution in figurative sculpture since I’ve been working in the medium. What excites me are the bold, creative and expressive ways in which figurative sculpture can take form. Rather than a photographically exact replication of a figure, what excites me is when artists think more out of the box and allow their creativity to form something that hasn’t been seen before. 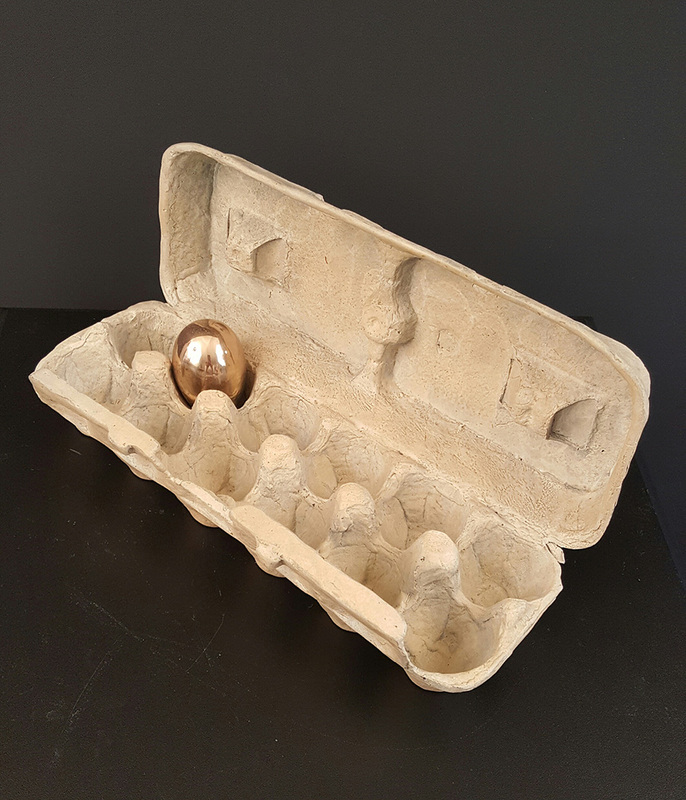 I’m both a bronze sculptor and an assemblage artist and I was inspired to combine my two loves after seeing some amazing Miro castings. This piece, Roots and All, was sculpted with both found objects and my imagination. 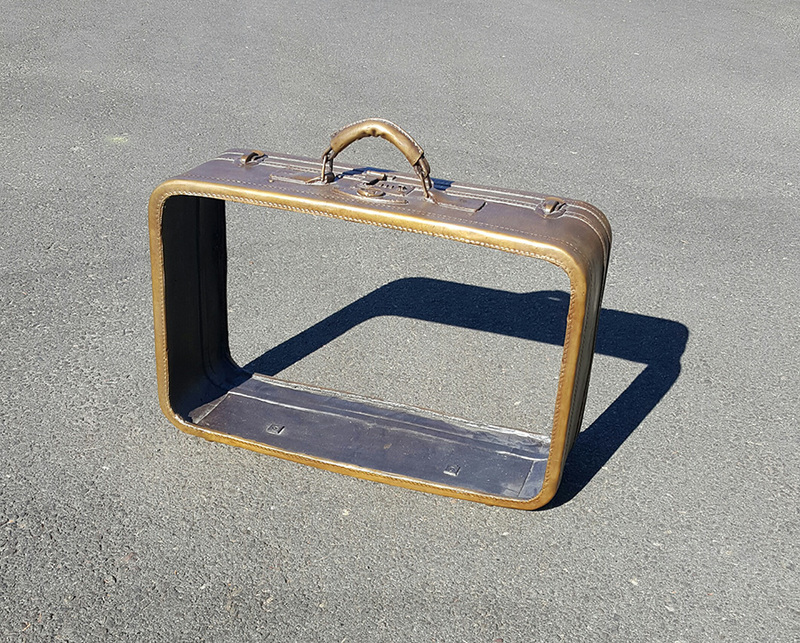 I look forward to challenging myself with more bronze sculptural combine works such as this. 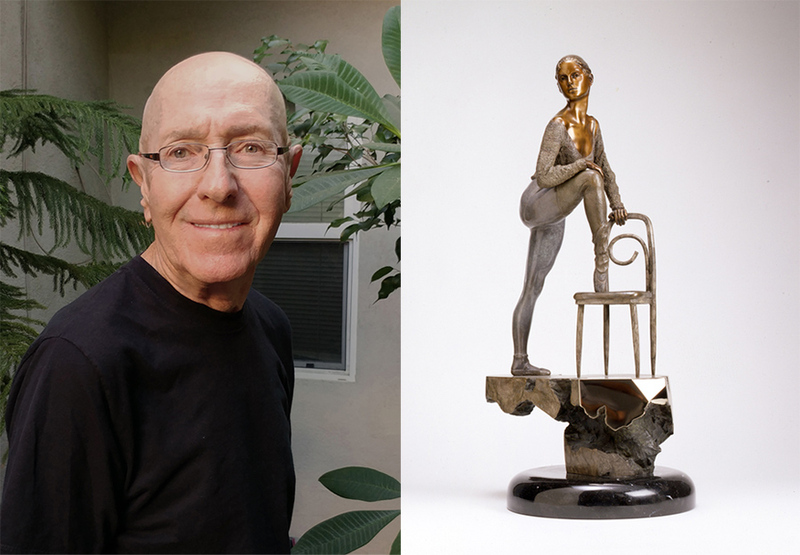 Victor Fisher: Figurative sculpture, in my opinion, has been fairly constant. The most dramatic change has been in the development of new patinas and combinations of patinas and how they have been utilized on the figurative piece or the base. More abstract piece have become more vivid in their use of color.